10th of June Night Game! 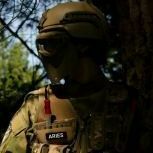 - DAC Events - Airsoft Sports New Zealand inc.
Field fee of $10 bring cash! Brian is away so we don’t have eftpos! All Guns in play Must be sub 350fps on .20 (1.13 joules) guns will be chronoed and tagged before the game starts. For safety reasons this is a members only event. Game will commence at 7pm and run till late. Other scenarios will follow if we have time. For the first two parts of the night game (search and destroy & hold the chopper) we will not be returning to the carpark. So take sufficient supplies for the night. Put me down as a maybe, work dependent. Might be able to bring the red bomb (and hopefully have it rigged up to flash).